WIT Music School's newest intitative, 'Taster Lessons', allows students and parents to discover whether learning an instrument is right for them. Guided by one of our experienced and qualified staff your child will explore their chosen instrument over four fun filled and informative lessons. To enrol please click on the link below to provide your contact details and instrument preferences, making sure to choose from the Taster Lessons menu toward the end of the form. Lessons may not be available on certain instruments depending on demand and as such are subject to availibility. With this in mind we recommend that you select two instruments when applying. 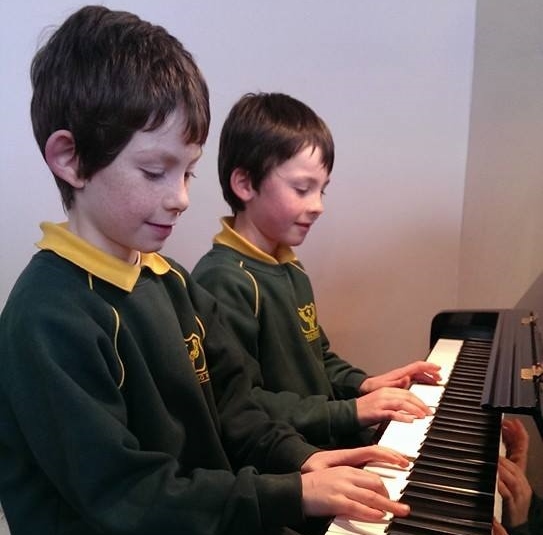 The minimum age of students we recommended for piano is 6yrs and 9yrs for woodwind and brass. Jazz Piano is recommeded to adult beginners or those already studying piano. A nominal administration fee of €20 applies to cover insurance etc. for those not already registered in the Music School. Instruments are provided for all lessons. A rental fee may apply for students who wish to take an instrument home for the four week period.